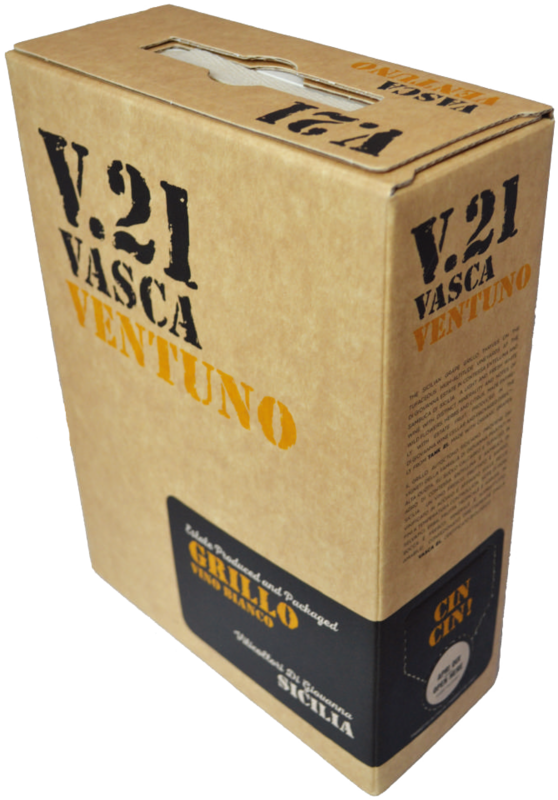 V.21 Vasca Ventuno Grillo Vino Bianco 3000ml Bag in Box IGP Terre Siciliane of Di Giovanna in Italy Sicily is provided to you by eurovin - wine shop on internet with the most extensive collection of organic wine. This wine has a citrus and bright bouquet with hints of herbs and almonds which leaves a refreshing aftertaste. Rich minerals are felt thanks to the calcareous soil of its vineyard. Vasca Ventuno refers to the Tank 21 in the winery, where the wine was fermented. This producer (Di Giovanna) also makes these wines.